In our prediction for 2016, Alexis Lloyd and I wrote about the importance of private social networks. Specifically, we identified a trend where information was increasingly being shared in places that were not publicly accessible, searchable, or discoverable. While this was true, and did have significant impacts — from formalized systems like Slack and Snapchat that continued to grow in importance, to ad hoc systems like the whisper networks of women who protect each other from predatory behavior in their workplaces — the biggest example of this phenomenon was not chosen by its users. Rather, it was imposed on users invisibly, by design and by algorithm. Whether it be a Twitter user who only follows like-minded accounts, or a Facebook user whose experience is sheltered from opposing thought by platform’s algorithms, spaces that could be used to share intelligent thought are becoming isolated and increasingly toxic. The outcome is the intellectual equivalent of the Dead Sea: an environment cut off from inflows or outflows, slowly becoming less and less habitable to life, until all that are left are the hardiest extremophiles. Usage of Facebook has begun to decline as the conversations there become more and more toxic. Have your social media person show you the comments on your Facebook posts and videos sometime; you may be surprised at what people are willing to say next to their real names and pictures. Soon the only discourse available will be about the most outrageous, instinct-punching statements, free of fact or reasoned debate, and the only people who will remain are those who seek nothing but self-validation and protection from criticism. What we can do as journalists is to demand systems that provide readers with the unexpected, that which surprises and challenges them. Facebook has the power to do this already, if they chose; so do the recommendation algorithms many news sites use. NPR One pioneered this work years ago, occasionally inserting stories into a listener’s feed that fell outside of their typical pattern. Critically, it also ensured that if a correction to a piece was made, those who listened to the original story also heard the correction. The maddening thing about this situation is that news organizations have historically been very good at showing people novel information, and at challenging their assumptions. The very layout of the newspaper encouraged discovery and serendipity, qualities that most online news experiences lack. Rather than put additional thought and design around supporting those qualities, many publishers have built and bought the same “people like you also read” recommendations the platforms pioneered. 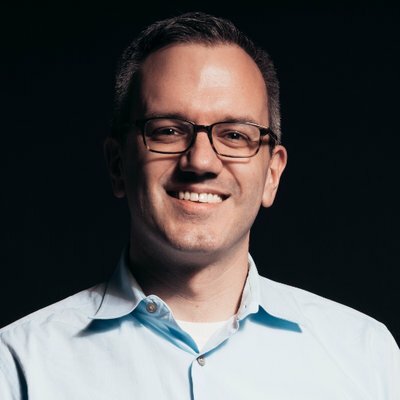 Matt Boggie is chief technology officer at Axios. Dec. 17, 2017, 9:58 a.m.